As much as we all love cute little cupcakes and other baked goodies, that baking soda sitting pretty in your fridge right now is good for so much more than making cakes rise. With a few relatively inexpensive ingredients and a fresh box of baking soda, these tricks might just change your life (and your skin) forever! No one likes being plagued with a face full of those pesky little blackheads, which makes baking soda a lifesaver for those of us who have to deal with them frequently. Placing your freshly cleansed face over a hot, steaming basin of baking soda infused water (with a 1 teaspoon to 1 cup ratio) will help open up your pores, subsequently drawing out your blackheads and allowing for super easy extractions. Tip: When extracting blackheads, always remember to encase your fingers inside a clean towelette rather than using your nails. Doing so will help prevent pain and scarring. If your skin is being particularly problematic or you’re just looking keep your already beautiful skin in the best shape possible, creating a baking soda based facial mask is an awesome, cost effective way to get your hands on a product that perfectly caters to your needs. With the addition of a few ingredients like orange juice (if you’re looking to brighten your skin), honey (if you want to naturally moisturize your skin), or tea tree oil (for particularly troubled and blemished skin), you can effectively treat a plethora of different problems without spending tons of cash to do it. While it’s true that baking soda isn’t some magical cure-all and should probably be combined with other products for the best results, the presence of the household item has been known to reduce the appearance of acne by leaps and bounds over time. Whether you’re planning to use it as a quick spot treatment for a couple of particularly troublesome pimples or counting on it for long term acne-reducing effects, a little bit of baking soda combined with a bit of warm water creates a highly effective paste that deep cleans and smoothens the skin. By now, everyone pretty much understands the importance of adding exfoliating to your regular skincare routine, but all exfoliators are not created equal. Some have a tendency to do your skin more harm than good and some just don’t do anything at all. For those who have troubled, acne-prone, or exceptionally oily skin, using baking soda as a (kind of) all-natural exfoliant is an awesome alternative to other less savory options. While not as visibly rough as other exfoliants, mixing baking soda with water and rubbing it into your skin as you would a regular exfoliant will help to remove dead skin cells and reveal the beautiful refreshed and glowing skin underneath. The simple combination of baking soda with a bit of pure honey results in an amazing facial cleanser that gently removes dirt and impurities from the skin without causing tons of irritation. This cleanser recipe is a particularly awesome way to wash the day away before bed. Say goodbye to those god-awful razor bumps or those bad product induced breakouts. 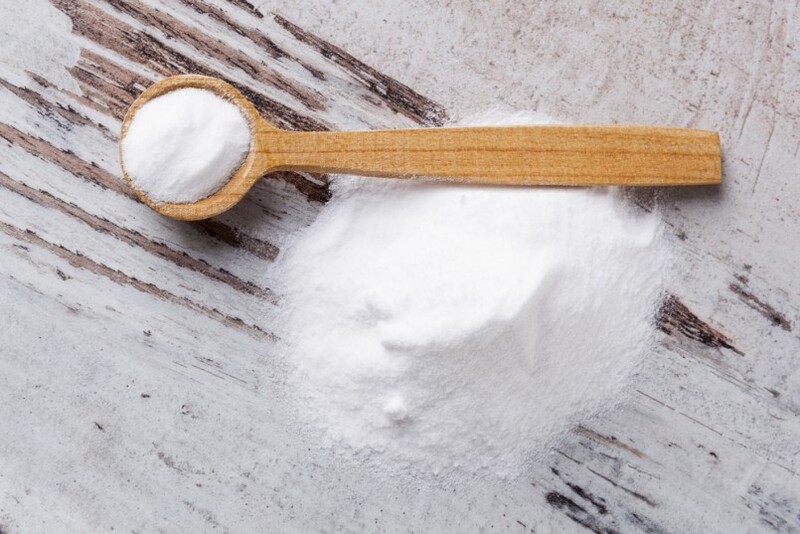 Out of all the awesome ways baking soda can help improve your skin, its soothing properties might just be the best one. One tablespoon of baking soda combined with one cup of water magically creates a solution that soothes and calms irritated skin in as little as five minutes! Professional freelancer in love with all things beauty. When I’m not writing for Daily Beauty Hack I can probably be found hoarding liquid lipsticks, daydreaming about the beach, or binge-watching cheesy teen movies. What’s the best moisturizer for your skin type?